Through online and app-based programmes, businesses have access to various types of data produced by their customers. The best way to think about this is to split it between two categories: transactional data and behavioural data. Capturing transactional and behavioural data helps provide businesses with deep insights into their customer base, empowering them to target and interact with customers in a smarter way. Transactional data is synonymous to POS data. At the surface, you can look at transactional data segmented by time, location and product. To delve deeper, this data provides valuable information around what a customer bought, when the purchase occurred and at which branch this purchase occurred. Further, this data also provides insights into the method of payment and the frequency of a customer. This data is able to be aggregated due to a unique ID that ties transactions to individual users. By tracking this data and tying it to an individual, businesses are able to get a fuller picture of who exactly each customer is and thus, market to them more effectively. With enough of these data points, patterns and trends emerge which in turn lead to targeted marketing efforts driving higher conversion rates. Another layer of insight exists around redemption behaviour, which allows businesses to see a customer’s preferences. This is where CRMs are of value because through aggregating these data points, business can see a customer’s preferences outside of their brand thanks to linked data. Wouldn’t it be nice to know where your customers go, what they like to do and how often they do it? Behavioural data provides businesses with visibility into which offers and merchants customers viewed and searched for. It’s a rare glimpse into a customer’s current needs and interests. By knowing these things, you can tailor your communications to products and services that appeal to customers’ daily lives, outside of your brand relationship. In this way, you become more of a value-add rather than an advertiser which leads to a pleasant experience for the customer. Behavioural data also includes geolocation information, which enables businesses to group customers into cohorts based on their locations and to isolate trends and patterns of the population within a specific location. 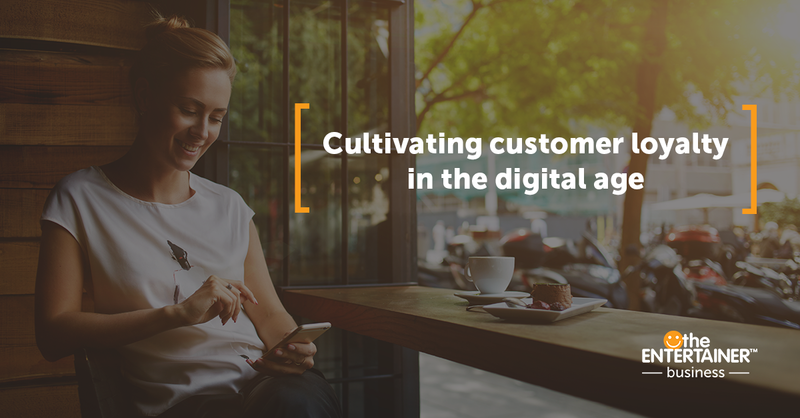 Upon adoption of a digital Program, brands will be able to capture data from their customers and retain them by using the data to provide relevant and engaging offers. Going digital is the best way to make smart business decisions for both you and your customers. 5 Ways to Win Traveler Loyalty in the Digital Era What Can Brands Learn From Social Media Influencers?